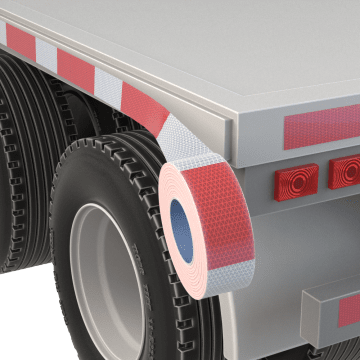 Help prevent collisions and other accidents in the workplace with reflective tape. Apply it to vehicles and clothing to increase their visibility and call attention to them in low-light applications. 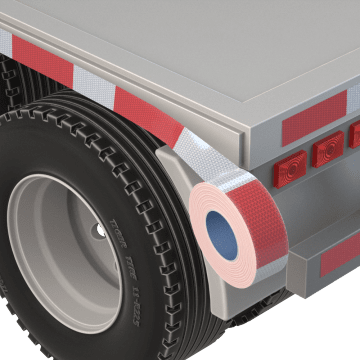 Also called conspicuity tape, attach vehicle-marking tape to trucks, buses, ambulances, or other vehicles to help them be seen in low-visibility conditions. The tape sticks to clean, smooth surfaces such as glass, polished wood, and painted or unpainted metals. 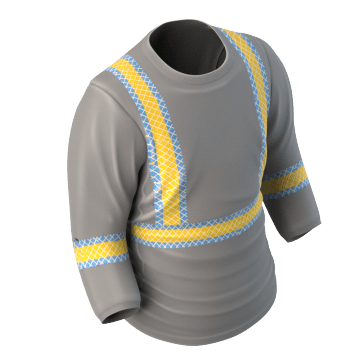 Affix this reflective tape to your clothing so you're more visible when working in dimly lit environments. Ideal for traffic officers, construction workers, first responders, tow truck drivers, bikers, and pedestrians who are active in low-light conditions.